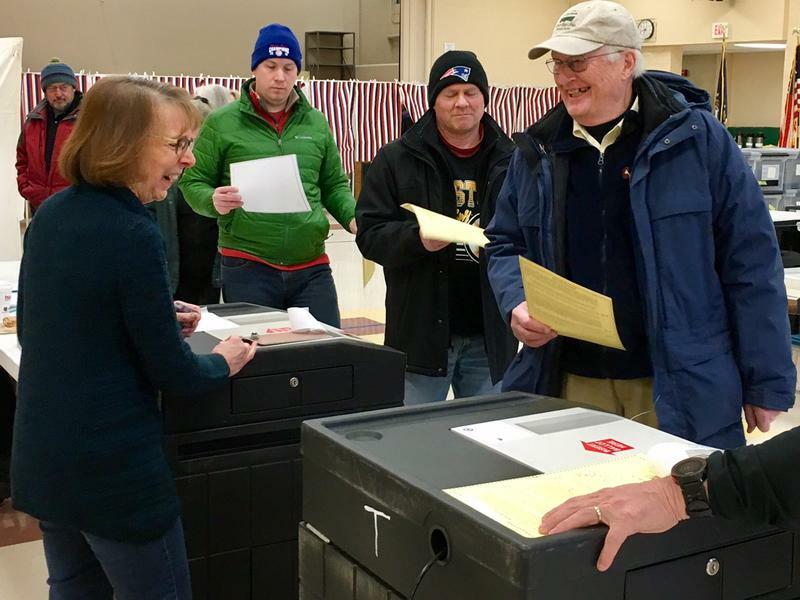 A sudden snowstorm last year sent towns scrambling to decide whether to postpone their elections, and prompted a debate about whether those who did delay could ratify their eventual votes. As next Tuesday’s town meeting day approaches, state lawmakers are still dealing with the fallout from a nor'easter that delayed votes in dozens of communities across the state last year. A bill approved by the Senate on Thursday sought to resolve an ongoing power struggle between the Secretary of State’s office and town officials over who should be able to postpone an election — for weather, safety or other reasons. In short, it requires towns to check with the Secretary of State before making any scheduling changes. The Secretary of State can, in turn, consult with public safety officials, meteorologists or others to decide whether a delay is warranted – and if he fails to respond within four hours, the town can go ahead and reschedule. The bill also gives the Secretary of State the power to cancel elections in other limited circumstances, including a weather emergency. While the bill has bipartisan support, it does have its critics. The New Hampshire Municipal Association, for one, has characterized it as a power grab by the state. “To draft something that conflicts with existing statutes, creates unanswerable questions, and does significant damage to established town meeting procedures, all in an effort to give the [Secretary of State] unprecedented authority over town meetings, really begs the question of what voters are being served,” the association wrote in a recent legislative bulletin. Those concerns were echoed at the State House on Thursday by Sen. Martha Fuller Clark, who introduced a municipal association-backed amendment that would shift the decision-making power back toward towns. The amendment ultimately failed. Sen. Jeff Woodburn was among those who pushed back on critiques from Clark and municipal officials, arguing that the legislation struck a reasonable balance. He said it would likely still allow towns to delay votes in many legitimate cases, but it’s designed to prevent towns from going rogue without a valid reason for rescheduling. While the bill makes its way through the Legislature, nothing will change for next week’s elections. If a snowstorm does interfere, the state is telling towns they shouldn’t plan to cancel. 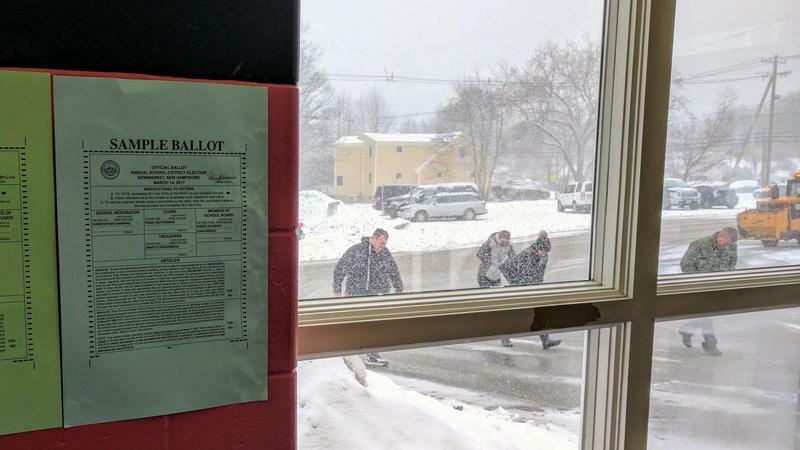 Voters will head to the polls Tuesday in more than a dozen New Hampshire communities that opted to postpone their local elections due to last week's nor’easter. Derry, Londonderry, Litchfield and Newfields are among the communities that chose not to hold their Town Meeting elections last Tuesday. 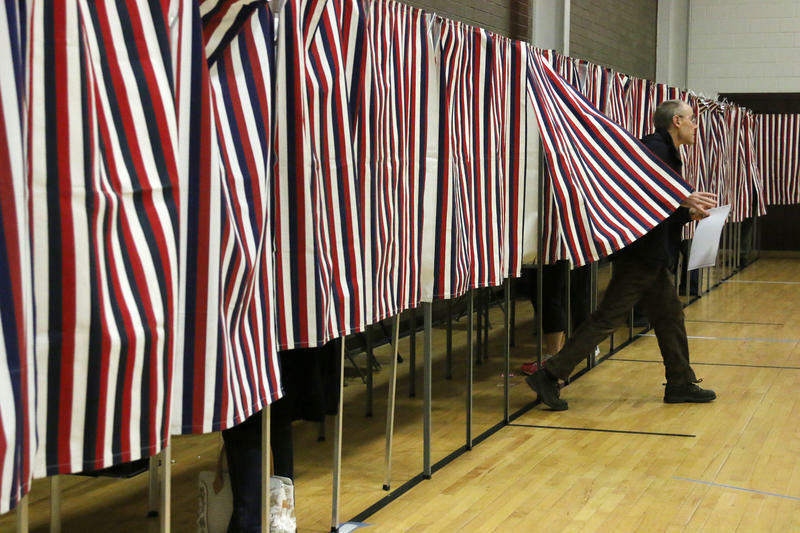 Voters in those towns and several others will instead cast ballots Tuesday on a number of issues, including local town council races, town budgets, and infrastructure projects. While many communities have opted to postpone Tuesday's Town Meeting elections due to the storm, others are moving forward with voting. The town of Durham is still holding its town election today, despite what’s expected to be major nor’easter that could drop as much as two feet of snow. Town Manager Todd Selig is encouraging voters to cast their ballots early, before the storm picks up in strength later in the day. Tuesday saw a collision of two great New Hampshire traditions: nor’easters and town meeting day. They might not seem like the best pairing, but as NHPR’s Jason Moon reports the two found a way to coexist. The late winter blizzard led town officials across in New Hampshire to postpone town meetings and elections. It's a decision many people -- but not all -- are happy about. House Speaker Shawn Jasper wants to give towns that postponed their elections due to a snowstorm a way out of facing potential lawsuits from voters who may have been disenfranchised. Jasper is proposing letting towns ratify the results of their elections by holding another vote. 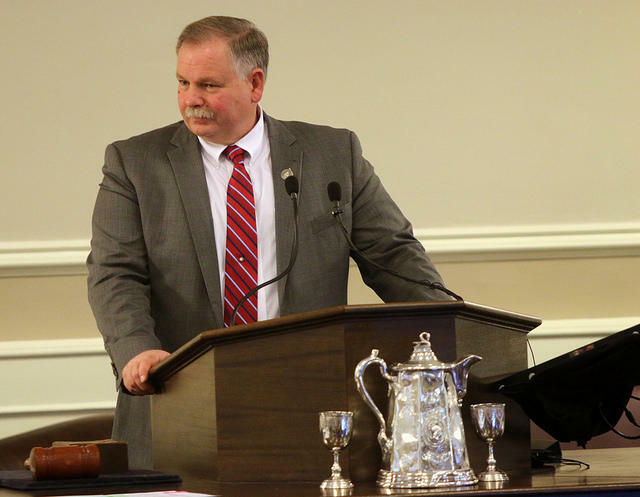 A bill he's sponsoring would give towns that moved Election Day the option of letting townspeople vote to ratify, or confirm, the results on May 23.